What icon would be appropriate? YouTube "Crash Course in World History:" 42 ca. 12 min. "lectures" by hyper teacher John Green, illustrated by really fast photos and animations. Not my taste, but maybe for review. Or students watch in advance and come to class with questions? Books by David Christian and by Peter Stearns were recommended as well. Feb. 25, 2013: Review of Ian Morris, Why the West Rules—for Now (Farrar, Straus & Giroux, 2010) in the Chronicle of Higher Education. A controversial book that takes a similarly "zoomed-out" view to Jared Diamond's various books. In January 2010 I will begin teaching the UCSB History department's course for graduate students either preparing a Ph.D. examination field in World History, or planning to offer such a course sometime during their careers. 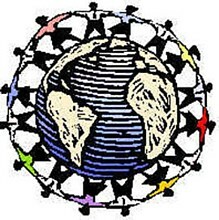 This page links to documents and information for that course. A reading course in a general area of history, specifically designed to prepare M.A. candidates for their comprehensive examination fields, but also appropriate for Ph.D. students seeking broad preparation. Introduces the student to the sources, historiography, and general literature of the field in question. Heidi Roupp (ed. 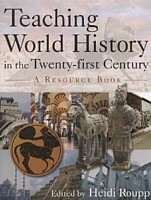 ), Teaching World History in the 21st Century (M.E. Sharpe, 2010). Lee Pappas' Readings in World History, 1500-1914 website at Sam Houston State University. 27 chapters, mostly western, linking to full text selections of secondary and primary sources.